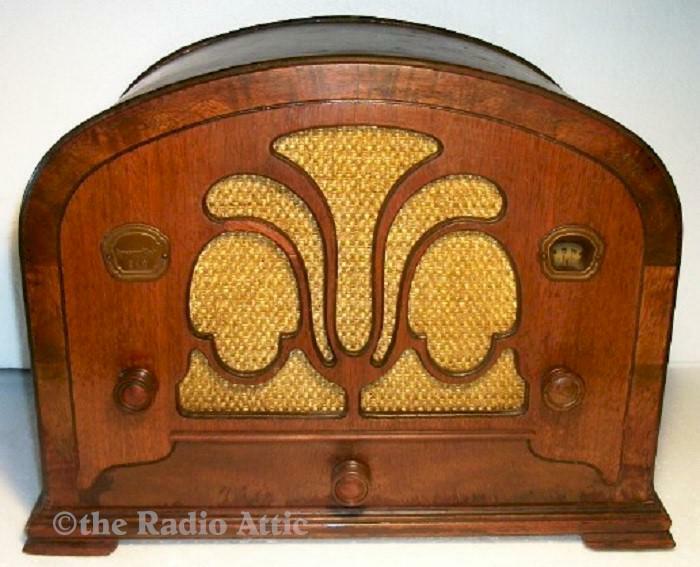 This fine 1933 AM radio is a six-tube super-heterodyne set with a chrome chassis. It has been completely restored; all of the old paper and foil type capacitors have now been replaced with the newer modern and longer lasting types. All of the tubes have been checked out too, replacing any weak or dead ones with either new or test like new tubes. This radio performs beautifully now, tuning in many stations loud and clear. It will give many years of pleasure to another new owner. The case is in very good original condition. 15"W x 11-1/2"H x 9-1/2"D.
You are visitor number 3,082 to this page.